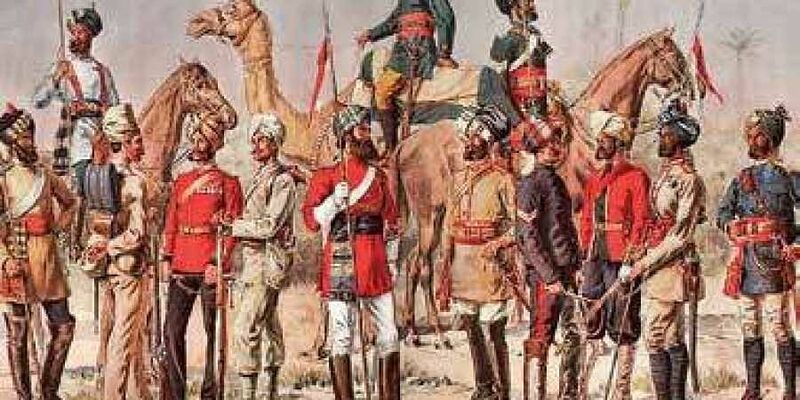 Pulitzer Prize-shortlisted Deborah Baker’s The Last Englishmen: Love, War and the End of Empire is a sprawling biographical saga that is a post-mortem of the last days of the British Empire in India. The author narrates the stories of pioneering geologist John Auden and surveyor Michael Spender who was the first to draw a detailed map of the north face of Everest, using his skills in photogrammetry. Both men, in addition to having famous poet brothers in W H Auden and Stephen Spender, vied for the hand of the same woman, Nancy Sharp—the English painter. They also sought to be included in an Everest expedition which had become “…an issue of National and Imperial importance” with diehards of colonialism seeing it as a means to reassert and consolidate their power over India. In a surprising move, Baker is not content to chart their lives and measure the successes of these two extraordinary men, though she does do that while opting to shift focus without warning to a dizzying array of colourful characters, who are an eclectic mix of writers, artists, freedom fighters, politicians, communists and even double agents all of whom made their own mark on history and left valuable impressions behind of the cultural, political and moral landscape of a crumbling empire. Louis MacNeice (who interestingly carried a torch for the redoubtable Nancy Sharp as well) invited to cover the Partition with a view to writing a series of radio plays for BBC, Christopher Isherwood who co-wrote a play with W H Auden titled The Ascent of F6 about a climber who mounts an expedition to Everest and battles the elements as well as rival nations in a race to the peak, Michael John Carritt, Indian Civil Service Officer and communist sympathiser, and Sudhin Datta, a Bengali intellectual who founded a literary journal, Parichay and was deeply conflicted by his love of English literature and hatred of heavy-handed imperialists, sashay into the narrative at will. Their stories have mixed results. They do shed light on a veritable avalanche of complex historical facts which manage to occasionally engage the reader while also leaving him or her disconcerted with the sheer density of information conveyed detachedly in opaque prose and a penchant for dogged descriptiveness that is not always flavoursome enough to be savoured. The frequent meandering detours and a surfeit of material crammed into an overcrowded stage with too much happening at all levels can be most vexing. Oftentimes, the process of perusing this excellent material feels as laborious and cumbersome as scaling an unforgiving peak under extremely unfavourable conditions which makes one want to give up in abject despair. However, in the unlikely event that the modern reader afflicted with ADHD manages to persist, the rewards are not entirely non-existent. Baker is determined to perform a delicate balancing act between the opposing viewpoints of the conqueror and conquered, and is even-handed to the point of being exasperating. However, her unflinching portrayal of the likes of Winston Churchill who felt the Indians were a ‘foul race’ that ‘breed like rabbits’ and needed to be bombed into submission if necessary, as well as her exposure of his role in the Bengal famine strips away the glittering façade of the so-called ‘greatest Briton ever’ and reveals him to be the unabashed racist and white supremacist he most certainly was. The chequered career of Huseyn Shaheed Suhrawardy, the ‘Butcher of Bengal’ and fifth Prime Minister of Pakistan, particularly his interaction with Gandhi makes for interesting reading. Some of the most harrowing portions of the book are Baker’s final chapters, reconstructing the terrible Bengal famine and the communal riots during the Partition. Her decision not to make it unduly melodramatic but rather keep it simple and clinical even, succeeds in making the horror all the more stomach-turning. If only Baker had managed to hit her stride sooner!